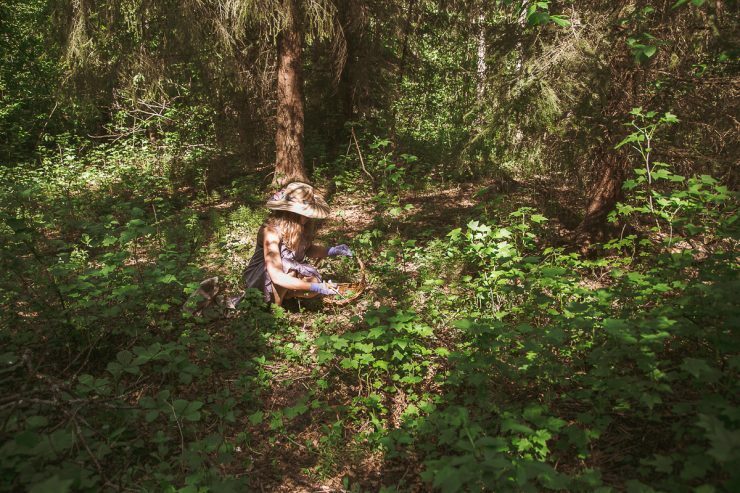 One of the things I love the most about Finland and Nordic countries is every man’s right, that is the right everyone possesses to roam and forage in the wilderness. I speak more in details about it in this article , but rest asssured that we use this opportunity to the full. 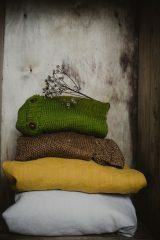 There are so many goods that can be collected from the forest almost all year round, with spring and autumn as the peak seasons. 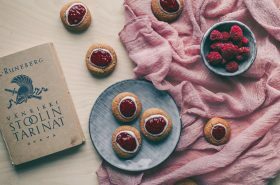 In this blog’s section “Finnish nature presents us” you can already read many articles about it, and my plan is to expand the list next year. 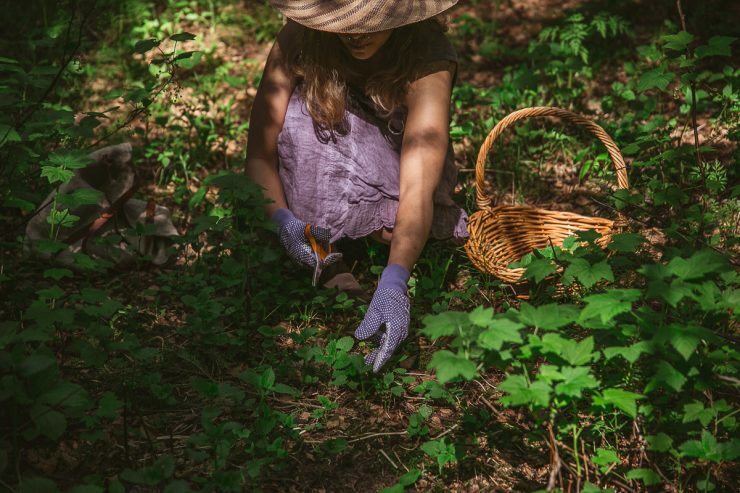 One of the plants we love to collect is nettle. Nettle is something I’ve eaten all my life. 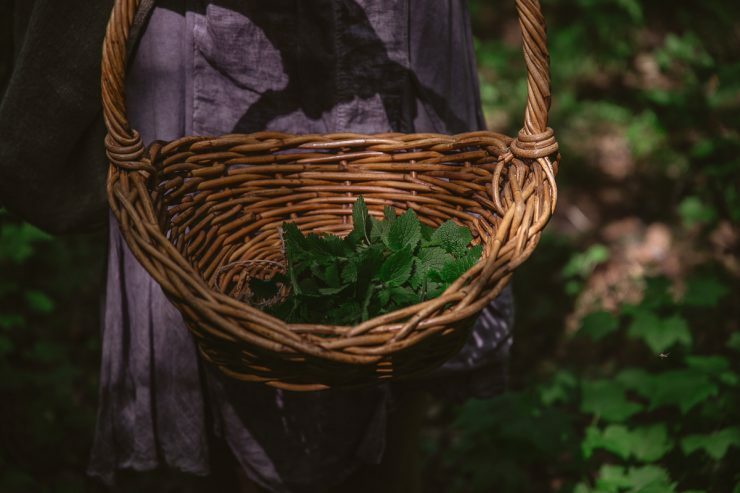 It brings me back when, as a kid, my granny would pick nettle from near our vegetable garden and make soups out of them. Then, as a teenager, I continued eating a lot of nettle because of its high iron content. 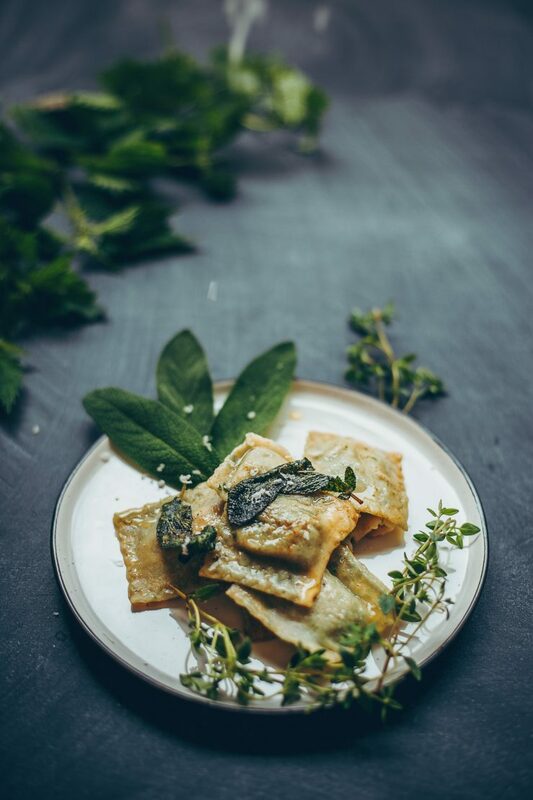 In Finland I started to use it in yet other ways, and my favorite is definitely the Nettle Ravioli. 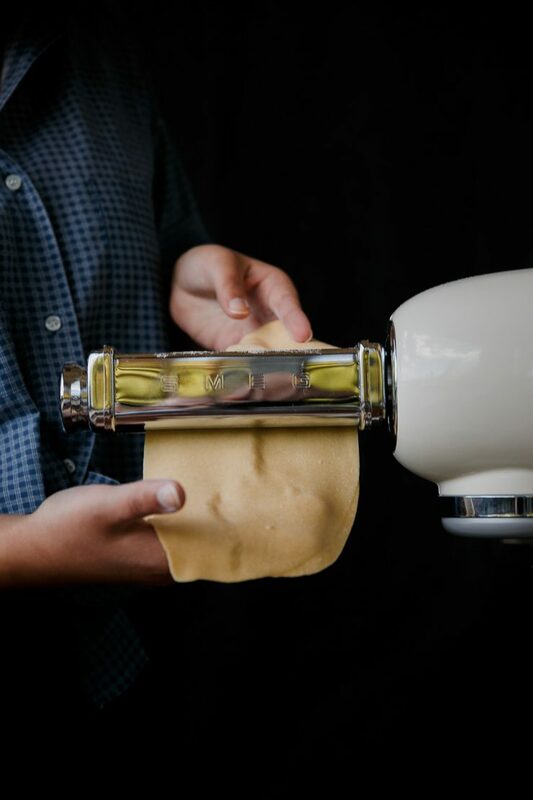 I’ve always owned a pasta machine. 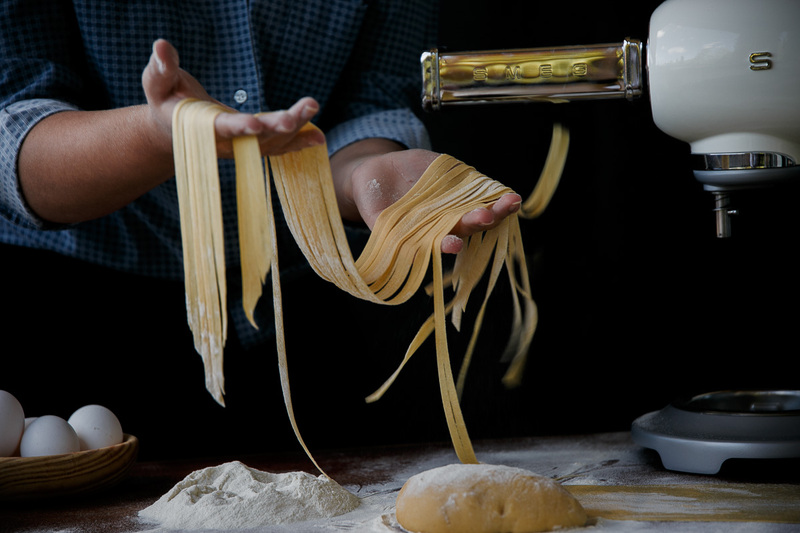 In Italy, my granny used to have one with a motor, and we would make kilos of pasta at a time, as a team work. When I moved to Finland I was presented a traditional pasta machine, which works great but is tricky to use alone. 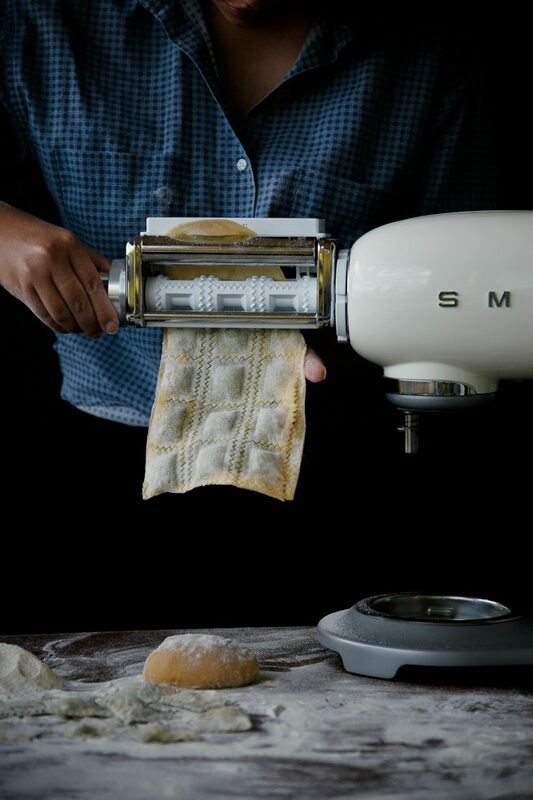 Now I have Smeg‘s pasta roller and ravioli maker attachment to their stand mixers and they work as a charm. 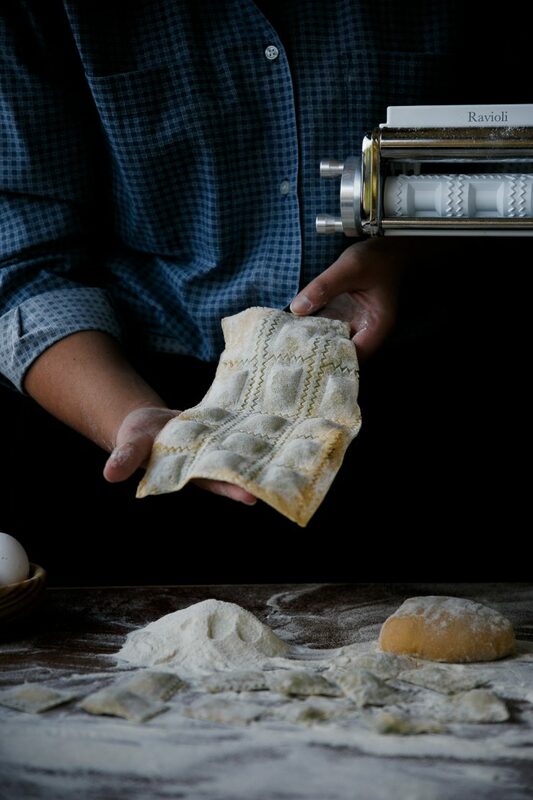 They simplify the work a great deal and making ravioli has never been this easy. 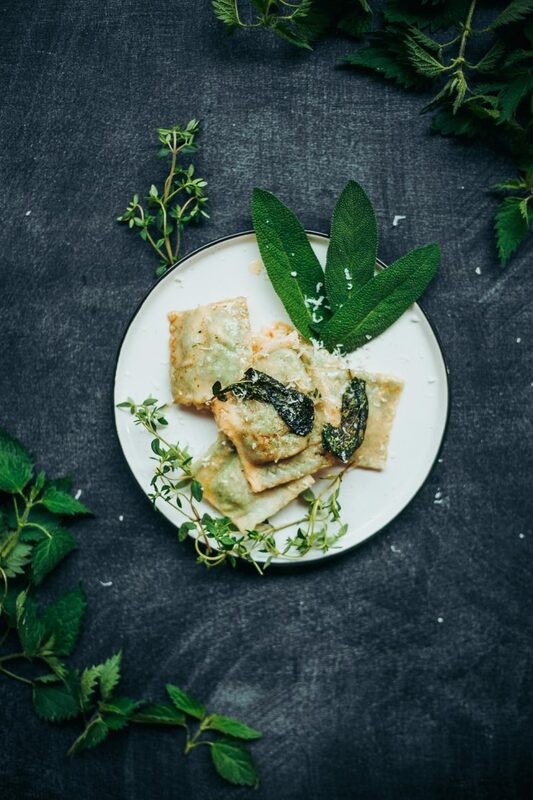 –With fresh ravioli you have two options: eat them then and there or freeze them. In case you want to freeze them, place the separated ravioli onto a floured tray and put the tray in the freezer for one hour or until the raviolis won’t be frozen. Then place the ravioli into plastic bags and preserve them in the freezer. When you’ll want to cook you ravioli, put them into salted, boiling water while they’re still frozen and let them cook for 3 minutes or until they’ll be soft. — Undoubtedly, there will be some leftover pasta, but do not throw it! Cut it irregularly and you’ll have some “maltagliati”, which you can boil and season with your favorite sauce. Let’s now get to the recipe, shall we? 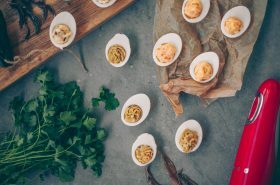 Adjust the flavor with nutmeg, salt and pepper. 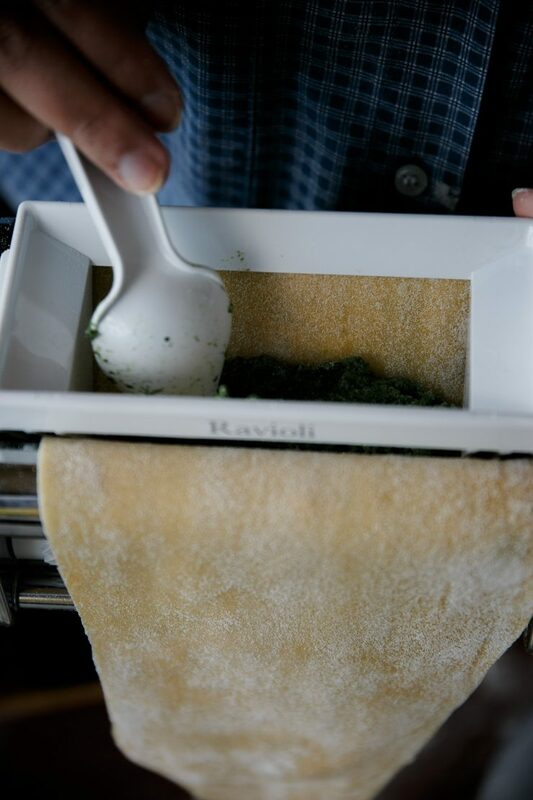 Spread the ravioli sheet onto a well floured table or tray. Place all the ingredients in a pan and let the butter melt and cook for a few minutes, skimming the foam if necessary. Cook the ravioli in salted, boiling water for 3 minutes or until they’ll be soft. Add the ravioli to the sauce and stir delicately.